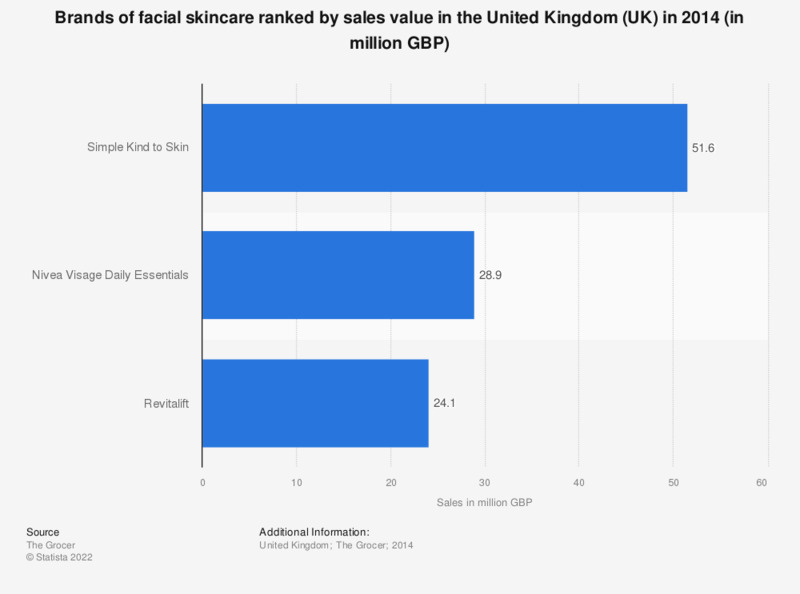 This statistic shows the leading 3 brands of facial skincare sold in the United Kingdom (UK) ranked by their total sales in the year to December 2014. The ranking reveals that Simple Kind to Skin was the number one brand sold in the United Kingdom over that period, reaching 51.6 million British pounds in sales. Would your opinion about health and beauty products improve if results were achieved quicker?